"The egoist is not the one who lives as he pleases, it is the one who asks others to live as he pleases, the altruistic is the one who lets others live their lives, without intervening." 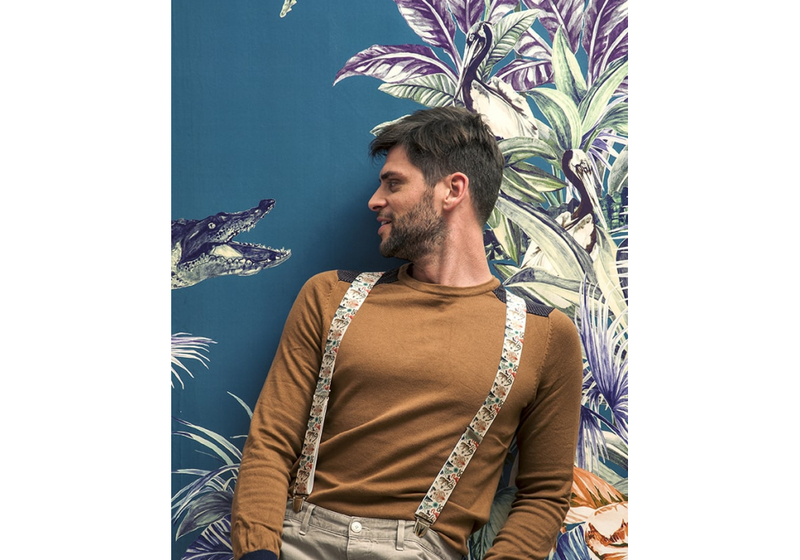 120 cm long and 35 mm wide, the wide suspenders "cabinet of curiosities" consist of elastic bands with various patterns (Polyester and Elastodian) assembled by a leather part stamped "Les Bretelles de Léon". These fine suspenders "cabinet of curiosities" are equipped with stainless steel clips with a rubber reinforcement to not mark clothing. Without any constraint, wear them on any type of pants.